Last Friday, I took my *almost three year old* Lacie Jane out for some Mommy and Me time! We do almost everything as a family, either with John on the weekend or just the three girls during the week. We hardly ever split up. But every once in awhile, I think it's nice to have some special one on one time! It's finally blueberry picking season in New Jersey, and you do not know what you are missing if you have never had New Jersey blueberries! They are the BEST! We always go to a local organic blueberry farm! Here's my sweet girl picking (and eating) blueberries! And just for fun, this is what Lacie looked like last summer on her very first trip to the blueberry farm! She was just the cutest little thing! 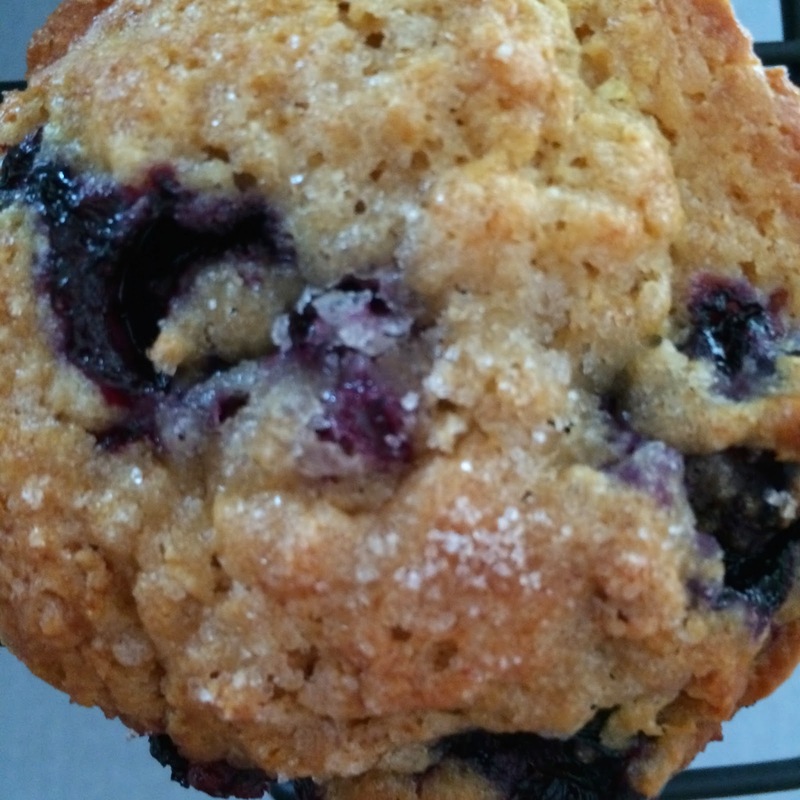 Now since we spent all that time and energy picking delicious, organic blueberries, I knew that I wanted to make muffins that would be relatively healthy! 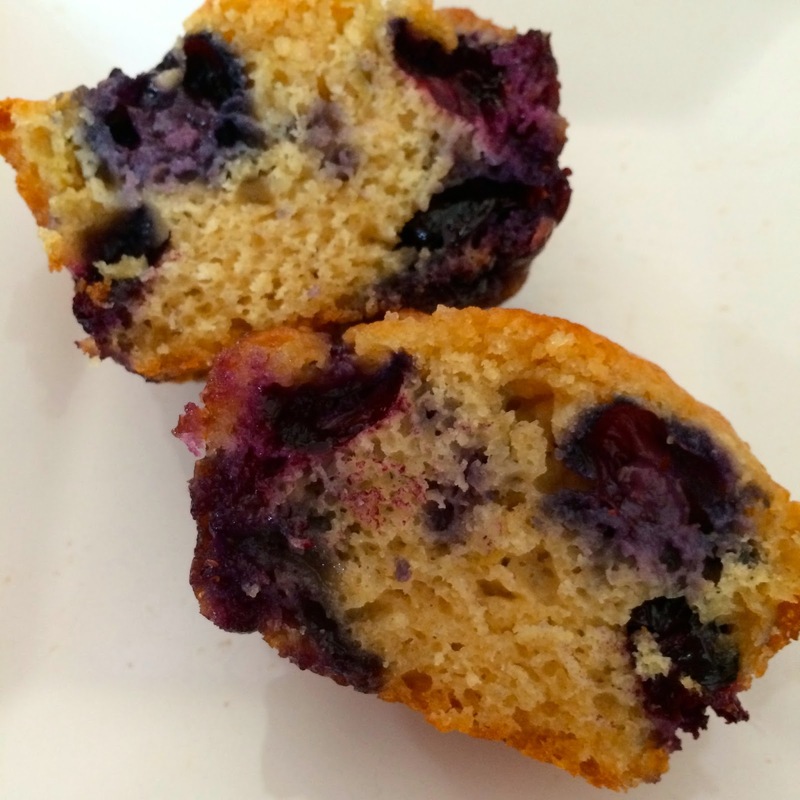 I used all organic ingredients for these muffins, but you can certainly use whatever baking supplies you keep on hand! Preheat your oven to 400 degrees and use paper liners or spray (I used a coconut oil spray) a 12 - 14 cup muffin pan. In a large mixing bowl, combine the lemon zest and sugar. Rub or whisk together until this mixture becomes very fragrant. Add the flour, baking powder, baking soda, and salt to the bowl and whisk together until thoroughly incorporated. In a large glass measuring cup, squeeze the juice from the lemon. Add in the milk until it reaches the 1 cup line marker. Add the coconut oil, eggs, and honey. Whisk the wet mixture together until thoroughly incorporated. Pour the wet ingredients into the dry ingredients and mix with a wooden spoon until just combined. Divide batter evenly into prepared muffin cups. 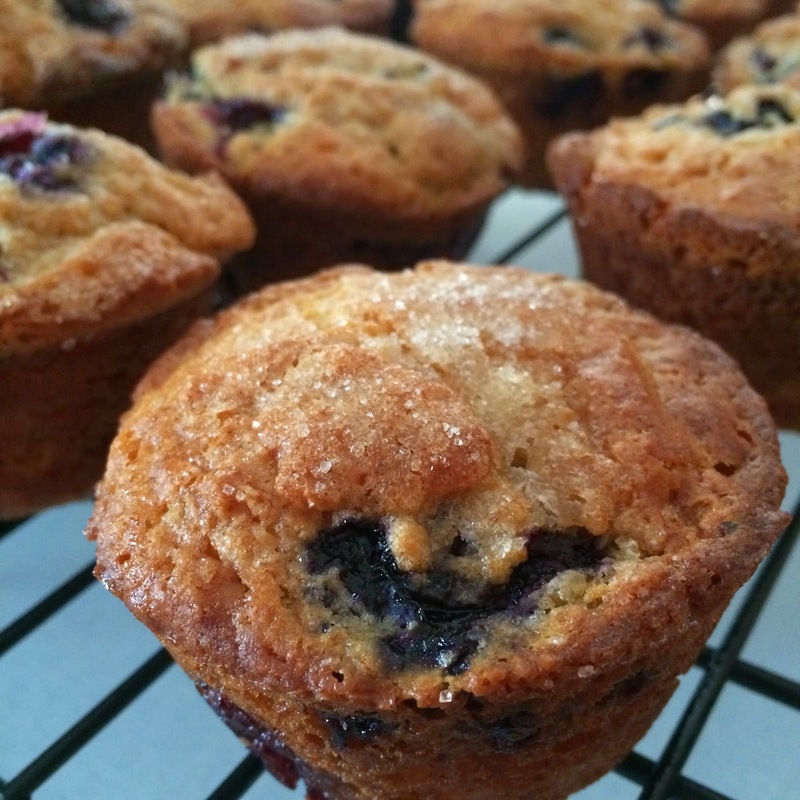 If desired, sprinkle a pinch of raw sugar over the tops of the muffins. Bake in preheated oven for 20 - 23 minutes. Cool muffins in pans for 10 minutes. Transfer muffins to wire racks to cool completely before storing in an airtight container.